Everybody stop what you’re doing and add these gluten free parmesan garlic boneless wings to your menu plan right now! I’m serious. They are such a punch of creamy garlicky flavor, and you need to experience it. I’m sure I’ve said this before (probably a million times before), but one of my favorite restaurants before going gluten free was Buffalo Wild Wings. Also literally anywhere that served good wings. I’m definitely a bone-in traditional wing junkie, but boneless wings are the perfect vehicles for all of my sticky, saucy hopes and dreams. Say what you will about BWW, but the sauces on their boneless wings really can’t be beat. Parmesan Garlic wasn’t my most frequent flavor (that honor goes to Teriyaki and Caribbean Jerk), but it was an old standby and it has a place in my kitchen. Obviously, I had to copy this sauce at home, with a recipe that served my gluten free needs. So now I’m sharing it with you – because seriously, oh my god, you guys. Please make these. If you’ve been here for any amount of time, you know that I’m not someone who strives to make “at home” or “better than takeout [that aren’t actually better than takeout]” versions of my favorite foods, I’m here to make food that is actually restaurant quality and that actually tastes the way you expect it to. 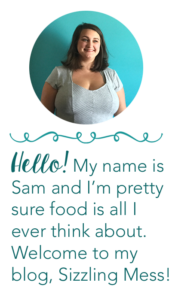 Life is too short to settle for what my husband and I like to call “home food” – sure, it has a time and a place, and there are many “home food” dishes that I love, but that’s not the type of thing that I’m here to share with you. In this recipe, I went with the classic Italian-spiced flavor profile of the garlic parmesan wings you know and love. I used fresh grated garlic for a serious punch of that spicy garlic flavor, and also garlic powder for a more subtle hint of garlic as well. Looking for other wing flavors? Try my Sriracha Buffalo Boneless Wings! I used Hidden Valley Ranch dry mix for my ranch to dip in, and I like to use their instructions with a little sour cream mixed in. You can use whatever ranch you want! I’ve heard rumors that BWW uses Marzetti brand ranch in the restaurant. 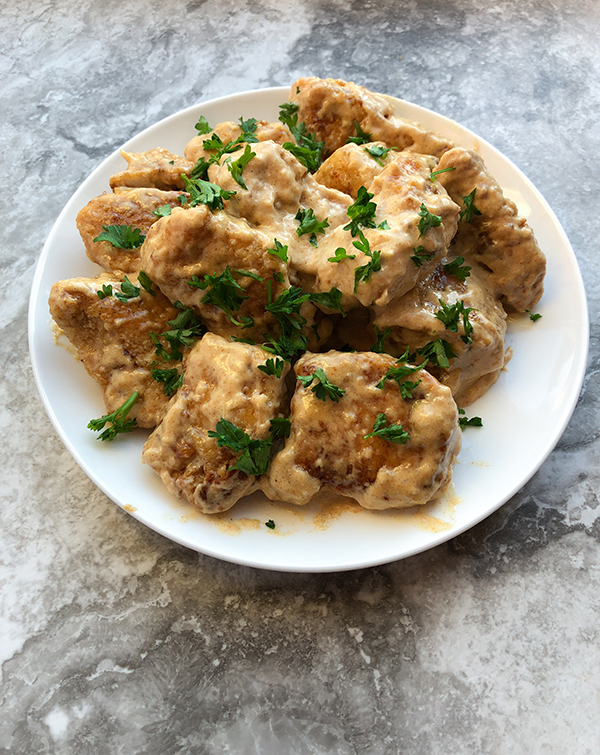 These crunchy gluten free boneless wings are pack a powerful flavor punch with a creamy garlic parmesan wing sauce. In a medium-sized bowl, whisk all sauce ingredients together. If the sauce is too thick you may need to add more milk, one tablespoon at a time until you get the right consistency. 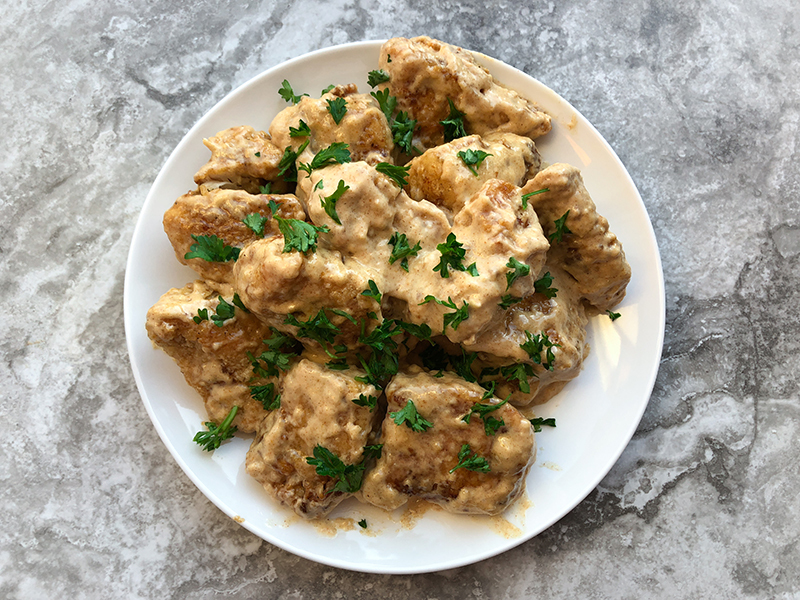 In a large bowl, toss boneless wings with garlic parmesan sauce, top with parsley is desired, and serve with ranch or bleu cheese dressing for dipping! I used a microplane/zester to grate my parmesan cheese for this recipe. If you are using pre-grated parmesan (the kind in the shaker), use 1/4th cup parmesan cheese instead of 1/2 cup and taste. You may add more if needed, but pre=grated parmesan tends to measure differently than when you grate it yourself. The gluten-free wings sounds super inviting and must have been a wonderful protein packed dish. Your wings look so rich, juicy, flavorful and I’m sure they taste as good as they look! I love the spices you use to make the sauce! My father does not eat gluten, so I may prepare chicken your way for him some day. Thanks for sharing this nice and healthy recipe! I love bob’s red mill! These wings sound so delicious! Can’t wait to try these! I love wings and your look like they are packed with flavor. Great recipe. These gluten-free parmesan garlic boneless wings were already added to my menu plan. You are right, I need to experience this because this sounds so delicious. Thank you for sharing.